Republican presidential candidate Jeb Bush says the federal government should deny aid to cities that harbor immigrants who are in the country illegally. 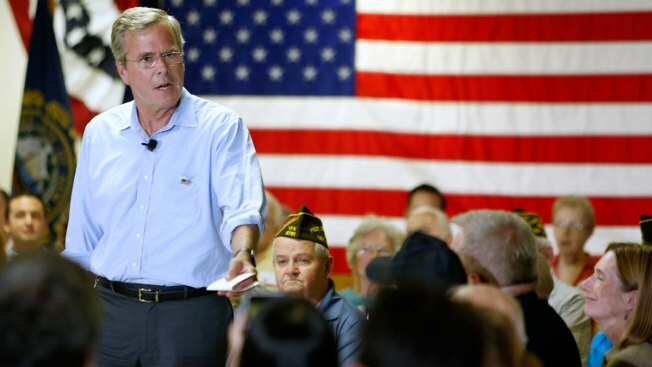 Speaking to a campaign event in New Hampshire, Bush said Wednesday that his support for allowing people in the country illegally to stay in the U.S. does not suggest leniency toward those who have committed crimes. Bush said: "We ought to eliminate sanctuary cities." And he noted ways he would root out immigrants who have committed crimes. He said cities like San Francisco should not get federal law enforcement money until they change their policies. A fatal shooting in San Francisco last week sparked renewed criticism of the city's policy of refusing to help federal officials detain suspects thought to be in the country illegally.